This is one type of variation which is used in Normal Leg Break Bowling. This is not a different or a particular delivery, it is a Normal Leg Break bowling which is bowled at different ranges of speed. Change of pace is nothing but change of speed, in fact you are varying your pace at different required times. Generally the speed of spin bowling ranges from 70 to 95 kmph. So you need to change your pace ranging from 70 to 95 kmph. That is bowl at 70, 83, 75, 90, 78, 95 or in what ever way you would like but vary it. SO HOW DO YOU VARY YOUR PACE ? Before knowing ” How to vary a pace ” you have to understand the concept of gripping the ball and how does it effects your pace. The pace of the ball not only depends upon gripping the ball but also the speed of the arm. Different ways of gripping the ball you get different variations in speed. Now hold the ball across the seam in such a way that the fingers fore and middle are on top of the seam, the thumb and ring fingers are down with the seam. After this scenario there must be enough, good space or gap between the ball and palm. 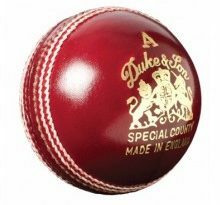 These are the conditions for Normal Leg Break bowling. Now comes the concept. The more contact of a ball with the hand (mean with the palm with no gaps) decreases its speed. And the less contact of a ball with the hand increases your bowling speed. 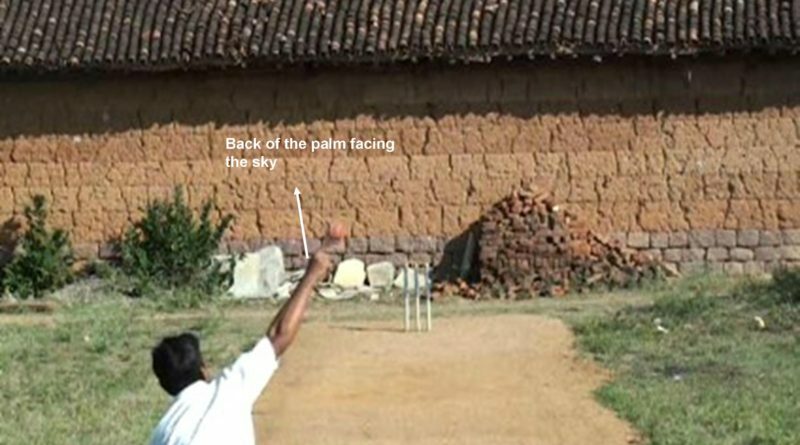 It implies in this way, after gripping the ball, if there is more and more gap between your palm and the ball you can increase your bowling speed. 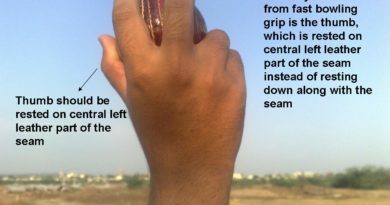 Similarly after gripping the ball if there is no gap between your palm and the ball you can decrease your bowling speed. The more contact the less speed. The less contact the more speed. The other way you can vary your bowling pace is by varying your speed of the arm. The more flight the lesser the speed. The less flight the greater the speed. There is also other way you can vary pace of your spin bowling ie by varying your arm position with respect to the body. The higher the arm with respect to the body decreases your bowling speed. The higher the arm means as, it gets positioned at an angle of 180 deg from down 0 deg with respect to your body. The lesser the arm position with respect to the body increases your bowling speed. The lesser the arm position means as, it may get positioned at angle of ranging from 100 deg to 135 deg from down 0 deg with respect to your body. These are only known ways to vary your spin bowling pace, there could be many ways in varying a pace which depends upon the Individual and how does he manages and creates it. So this is how you vary your pace of spin bowling. WHY DO YOU VARY YOUR PACE ? The reason is simple for variation in spin bowling. 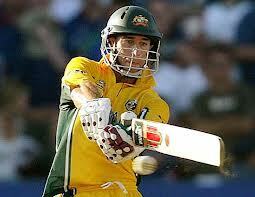 This variation of speed makes the batsman in two minds, he could not predict the ball, in which length it pitches. The lesser the speed you get the more flight and more turn. The greater the flat you bowl you get the less flight and less turn. Now lets say if you bowl continuously at a speed of 85 kmph 2 or 3 in a row. Now suddenly vary your bowling speed from 85 kmph to 75 kmph , then getting more flight in air and more turn. Then the batsman looses his timing contact with the ball and plays earlier and gives out a catch to a fielder. He looses in picking the length of the delivery. This is because of simply speed variation.